We'd like to compliment, for the excellent service your company provided me. 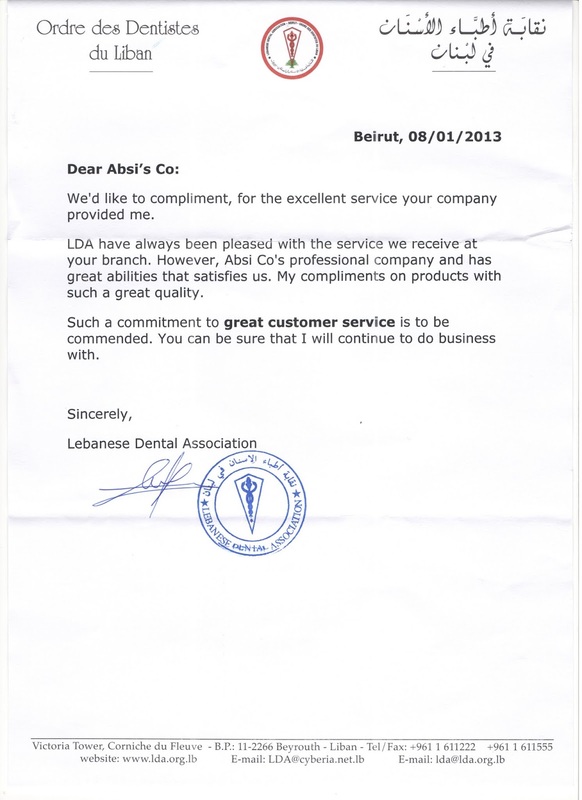 LDA have always been pleased with the service we receive at your branch. However, Absi Co‘s professional company and has great abilities that satisfies us. My compliments on products with such a great quality. Such a commitment to great customer service is to be commended. You can be sure that I will continue to do business With.